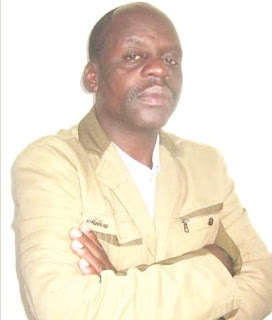 RENCO Mine – Masvingo South Ward 35 councillor, Siyai Neshanje, who retained his council seat in the just-ended harmonised elections as an independent, has said he will push the MDC Alliance agenda in council. Neshanje has been the area's MDC-T councillor since 2008 but he chose to stand as an independent after being disgruntled by the party's chaotic primaries that apparently produced a weak candidate, Benson Shuro. He told TellZim News it was the electorate than persuaded him to stand as an independent as he apparently was the only candidate capable of stopping Zanu PF from snatching the ward. "I was born and bred in the MDC so I will return the seat home. I contested as independent to defend it from Zanu PF because people felt the candidate that the party had put forward was not capable of retaining the seat for the party. I think the people were justified in their concerns, just as the results of the elections have shown," said Neshanje. He called upon the people to work together for the good of the ward, saying his role will be to champion their interests in council. "I urge all residents of the ward to unite and forget our political differences so that we can all help each other develop our area," said Neshanje.